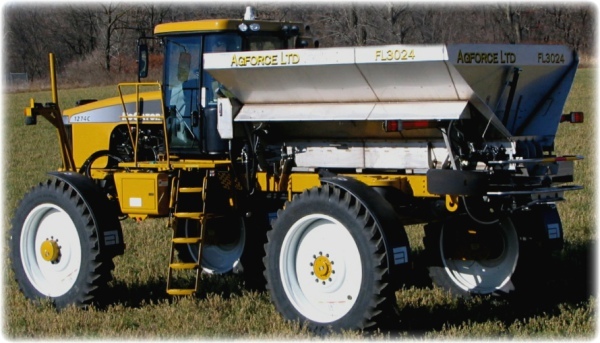 The Agforce Ltd stainless steel spreader is designed to mount on your 4920, 4930, 4940 or 4045 series row crops along with an 1100, 1200 or 1300 series rogators. In just a couple of hours, convert your top of the line sprayer, to a top of the line spreader. The Agforce Ltd & Pro-Force Ltd, offer a smaller design to accommodate your Row Crop machines. Opitonal Duo-Force can be added at any time for 2 product spreading.